An edited version of this review was published in The Straits Times on 5 September 2014. It is ironic that while the Singapore Symphony Orchestra just played for the BBC Proms in London last night, the London Sinfonietta is here playing at the Singapore International Festival of Arts. This festival of 20th century music by the Southbank Centre and London Sinfonietta encourages the audience to “Listen to the 20th Century”, breaking it down into six concerts (including a triple- bill on Saturday) and five talks across four days. 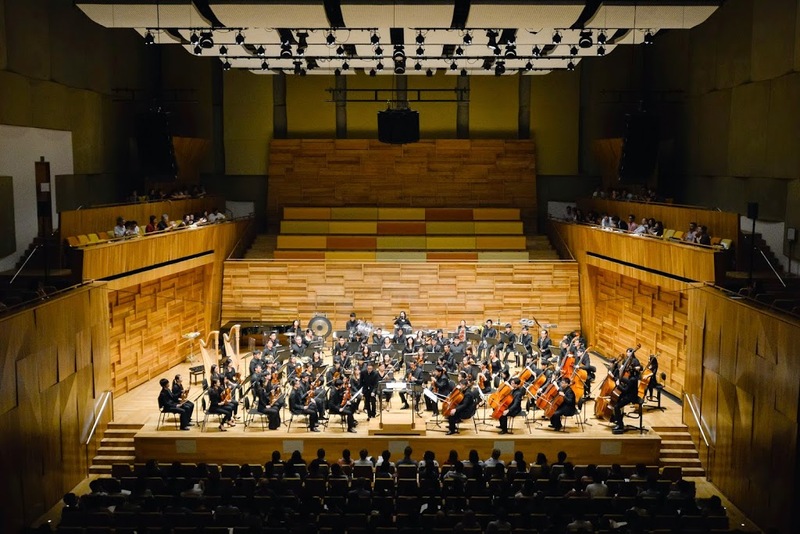 Starting with what many consider to be the beginning of modern music, the Yong Siew Toh Conservatory Orchestra opened with Debussy’s Prelude l’apres midi d’un faune and Webern’s Passacaglia. Conducted by Jason Lai, these were cautious and restrained readings, and the orchestra seemed as though they were holding back, even at the climaxes. The lovely flute solos in the Debussy were much too soft and often covered up by the orchestra. The rest of the concert was played by members of the London Sinfonietta, led by Sian Edwards. While the stage was being readied, BBC Radio 3 presenter Sara Mohr-Pietsch engaged the audience by speaking about the works and the contexts in which they were composed. Although condensed into a smaller ensemble of eleven musicians, the colouristic textures of Schoenberg’s highly detailed Five Pieces for Orchestra were clearly brought across, the missing orchestra instruments filled by an electronic synthesiser keyboard. Likewise, the harsh blips, beeps and chugging of industrial machinery in Varese’s sound world Octandre were played with machine- like precision. As the music moved away from serialism and atonality towards jazz, pianist John Constable accompanied mezzo-soprano Victoria Simmonds in three songs by Kurt Weil. Simmonds looked a little awkward and stiff in her rendition of Surabaya Johnny, standing rooted to the spot with her arms by her side. She loosened up in The Ballad of Sexual Slavery and Le Grand Lustucru. Vocally, she delivered her characters’ disenchantment, disillusionment and later artfulness with sophistication, using a tone of voice that was half operatic and half broadway. The Three Pieces for String Quartet were strange and short miniatures, comprising of rhythmic and melodic fragments, were delicately handled, especially the “wrong-note” chorale in the final piece. If jazz was threatening to break out before, it was finally let loose in the closing work, Milhaud’s lively 6-movement La création du monde, based on the African mythology of the creation of the world, of which particularly noteworthy were the bluesy oboe solos which complemented the soulful saxophone solos. The rest of the Talks and concerts of Listen to the 20th Century take place over the weekend at SOTA, dealing with music of the Soviet era on Friday evening, post-war directions on Saturday and finally the progression into a musical world without rules on Sunday afternoon. 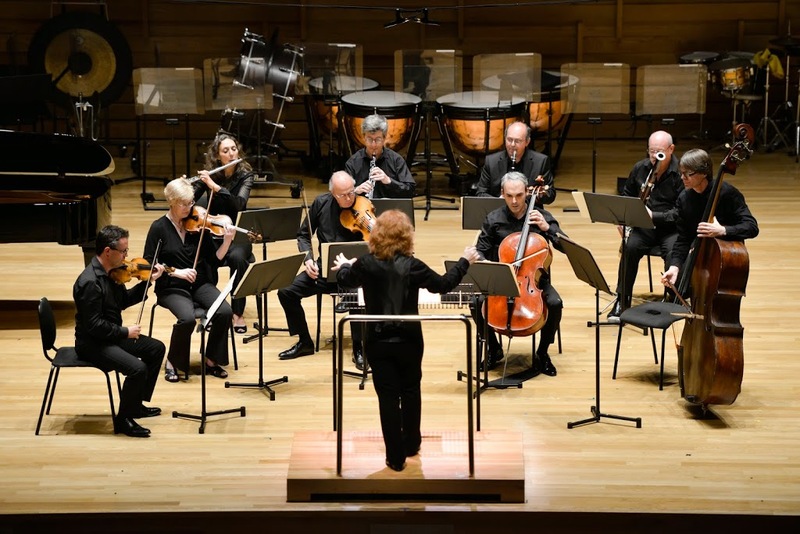 Don’t miss the chance to catch the London Sinfonietta and the YST Orchestra in action! all photos by kind permission of SIFA and credits to Chong Yew.